I was looking forward to the ANLTC event on Preservation Book Cleaning and from talking to others before the course started I wasn’t the only one. We might not get excited about cleaning and tidying our houses or workspaces but cleaning dusty books on the other hand, well that was new and therefore a little bit exciting! • Knowing how to deal with incoming donations before they went to cataloguing. But why preservation book cleaning? Preservation book cleaning sends a powerful message from library to a parent institution and the non-library world in general. If items aren’t cleaned it implies that the collections have little value, are little used and have little significance to the library itself. The half-day course was broken into a number of sections: Parts 1 – 3 were PowerPoint presentations and Part 4 was a hands-on activity. 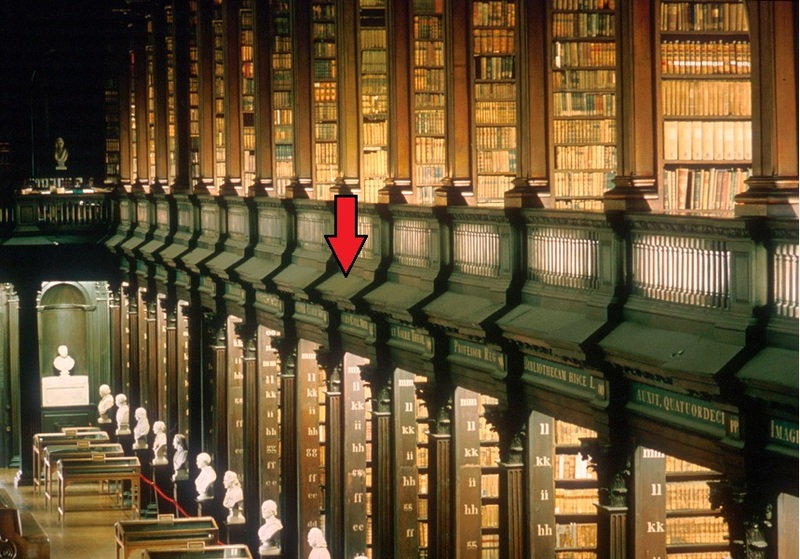 Trinity College Dublin have used the The Long Room in the Old Library as a case study on dust Structural interventions such as filling in the colonnades on the ground floor have contributed to the dust. Preservation measures have already been taken such as fitting UV filters and roller blinds on the windows to minimise what light accesses the room, controlled lighting within the room, environmental monitoring and since a book and shelf cleaning project has been running since the 1980s. 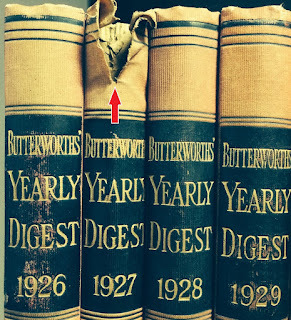 The dangers to dust is that it may be used as a food source for pests, dust may be transferred from the outside cover of the book to inside the text block, or dust may set off allergies for an individual. Depending on the size of a collection or a space cleaning might only happen annually but it should happen frequently enough to avoid dust levels. At the very least there should be regular inspections for pests or mould. If we need to decide what should be cleaned we should consider regular deep cleaning of high risk areas or collections that give us the greatest gain. Resources including time may be limited but not all collections are equal. Andrew showed us examples of red rot and herbaria. Red rot can be cleaned off but the damage remains. A herbarium may have poison which remains from the substance used to preserve the dried specimens initially. If an item is dusty then it’s likely the shelf on which it rests is dusty too as well the surrounding area. Staff should check with housekeeping as to which chemicals are used in their cleaning products. The cleaning products may leave a residue which depending on where they’re used may cause a reaction. For example wood shelving is hydroscopic so no liquids should be used. Every area has its own difficulties but parts of the Long Room are pretty tricky (area identified by arrow). This is a task for specialised staff as scaffolding is needed because of the height involved. The way dust is removed is also a matter for thought as no one wants the dust to fall further. As the Long Room is a visitor attraction AND a collection space protective coverings, barriers and security are required to protect both the collections and people. However these items impact the viewing experience of the collections. Andrew opened this section by discussing the terminology for the parts of book. Terminology used on the day is shown in this image below. • What’s the scope of the project? Every single book or a sample of the collection? • What’s significant about the book? • What’s the storage space like? What are the requirements for cleaning this? • Are in-house staff doing the project or is a professional cleaning company required? • What is the cost of the project? This includes availability of staff, their time, training and supervising staff? • Are there sufficient staff numbers to do the various tasks as repetitive motion is involved. 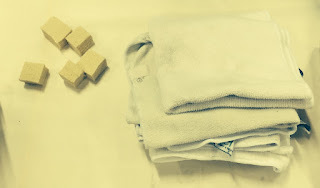 • Any overalls and aprons used by personnel cleaning will require laundering. How will this be done? • Check what level of particulates or mould is present and choose the appropriate dust mask. All the masks come with specific safety ratings. • Use safety glasses as needed. The vacuum is not the type we use to hoover our houses! The filters need to be changed after time as if they are clogged the motor in the hoover heats up and burns out although Andrew assured us that he hadn’t seen it happen in Trinity! For the scientists among us, if we are interested in what kind of dust is present in our libraries we can conduct research on the full hoover bags post-dust collection. Trinity College Library use FileMaker to record information on condition reports for each item. It’s important to record the items as they’re being cleaned as it’s a snapshot for that point of time for that book and it is useful for acquiring funding. The reports have dropdown menus for each section to describe if for example headcaps (top and bottom) are present or not. Butterworth’s Yearly Digest of reported cases for the year. The selection on a dropdown menu can be edited to insert additional options. Each condition report can be updated if the book is cleaned in different years. 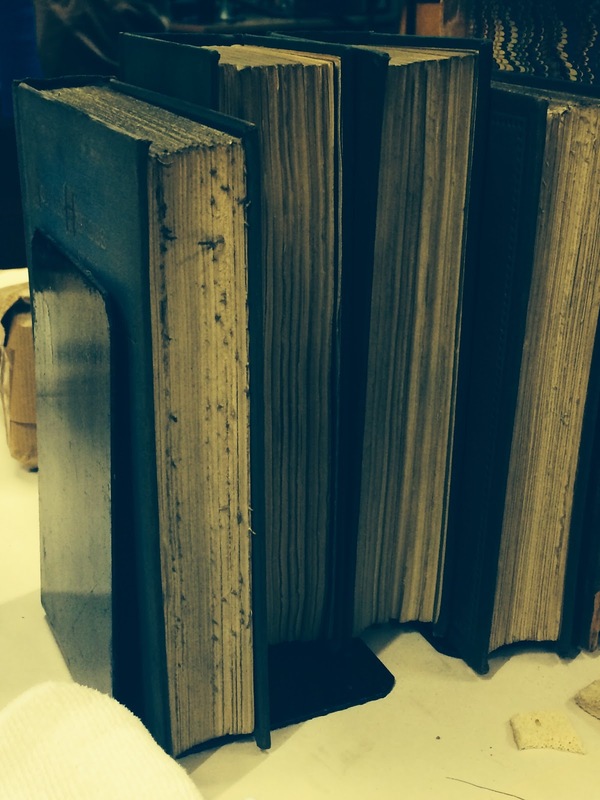 Phase boxes can be made during the cleaning programme which ensures that there is a barrier between the book and the dust. Additional archival quality enclosures such as archival envelopes or Mylar folders can be placed on sensitive items. Items that require conservation treatment can be prioritised. Once clean the books can be protected from dust with archival boxes and the top of each bay should always have a shelf which will capture dust. Andrew noted that the British Library booklets published by the Preservation Advisory Centre are very good. While the whole course was very thorough and explained very well I found this part the most useful as it gave me an opportunity to use each of the pieces of equipment (under careful supervision!) 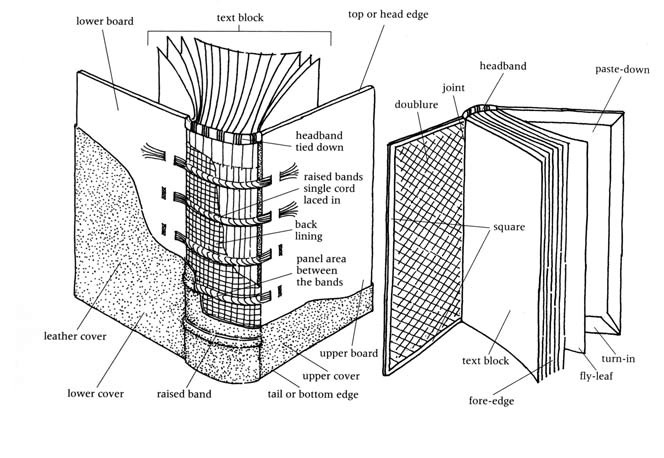 on the various parts of the book. As the largest concentration of dust tends to be on the top-edge of make sure the book is held firmly closed so that no dust can get in and using either a vacuum or a softer brush clean the book from the head of the book to the fore-edge. This is to minimise possible damage to the spine of the book. 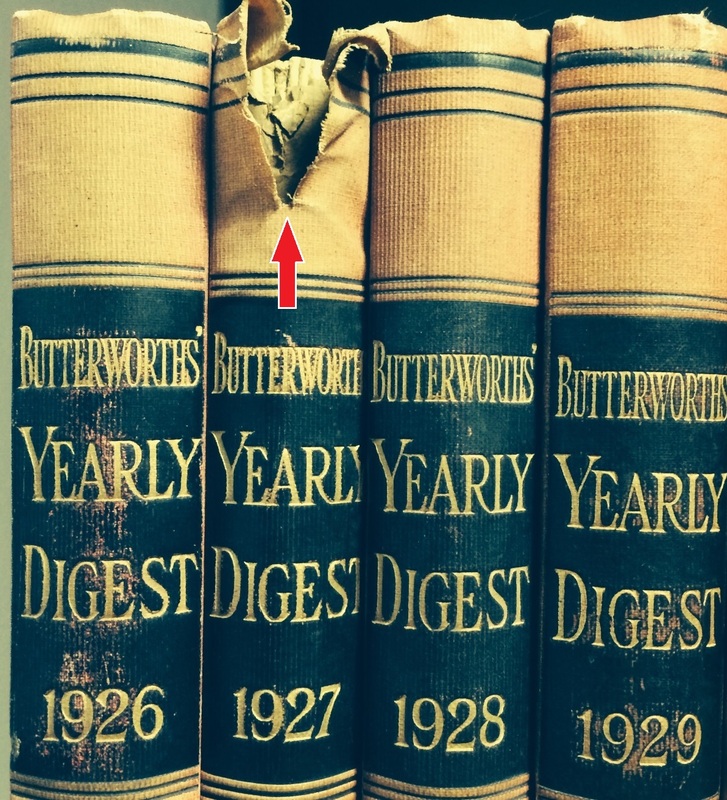 • Spine of the book: this should be cleaned with a sponge horizontally rather than vertically to minimise damage. If the spine is in any way damaged the vacuum should not be used. • Front and back boards: again this should be cleaned with a sponge horizontally rather than vertically. • Open the book and place on foam blocks to support the spine. • With horizontal strokes from the inner joint to the outer edge sponge first the front paste-down and then the front end paper. • Avoid sponging over any notation on a page as cleaning it might result in its removal. • Pages within the text block may be considerably less dirty than pages at the front. • Clean then the back end paper and the back paste-down again with horizontal strokes from the inner joint to the outer edge. And then it’s on to the next book! Thanks to ANLTC for organising the event and thanks also to Trinity College Library and the Preservation Team, particularly Andrew Megaw and Susie Bioletti for hosting and answering our many many questions! • Smith, A., Goodhue, R and Bioletti, S. “Monitoring Deposited Dust in The Old Library, Trinity College Dublin.” TARA. Additional research has been carried out by Historic Royal Palaces, National Trust and English Heritage. 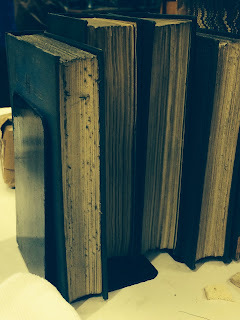 “About a Book” In Bookbindings | Preservation Advisory Centre at the British Library. 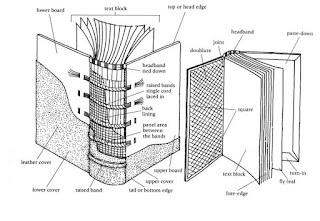 p.5 http://www.bl.uk/aboutus/stratpolprog/collectioncare/publications/booklets/caring_for_bookbindings.pdf Taken from: Marks, PJM Marks., The British Library Guide to Bookbinding: History and Techniques. London: British Library, 1998. “Headcaps.” Butterworth’s Yearly Digest of reported cases for the year. Roche, Regina Maria. The Children of the Abbey. Cork: J. Haly, M. Harris, and J. Connor, 1798.